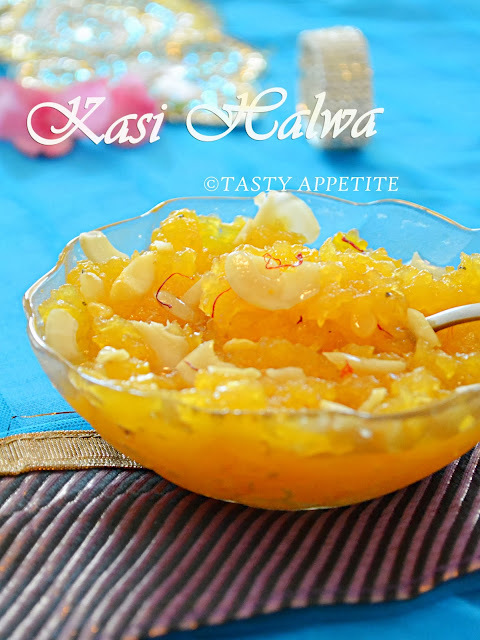 Kasi Halwa is one of the most scrumptious halwa, which will melt-away the moment you put it in your mouth. This popular South Indian traditional sweet is made with white pumpkin, sugar, ghee and nuts. 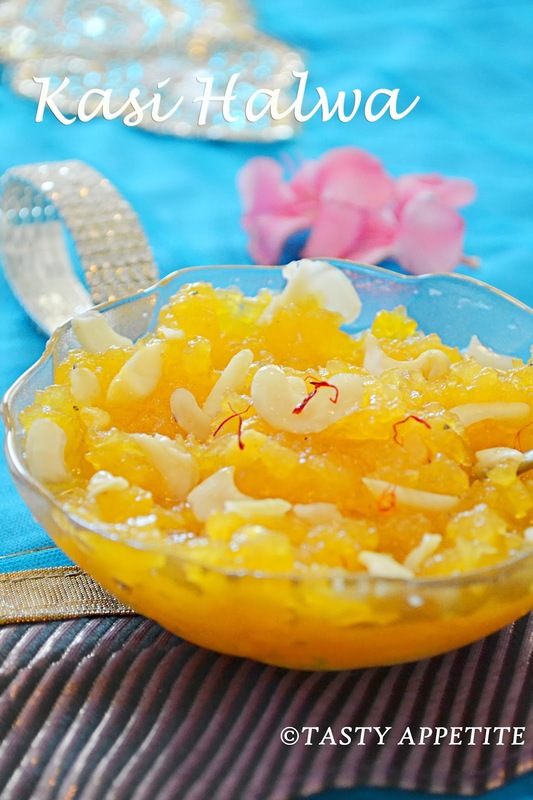 The preparation is very simple and is usually enjoyed during weddings, festivals and special ceremonies. 1. 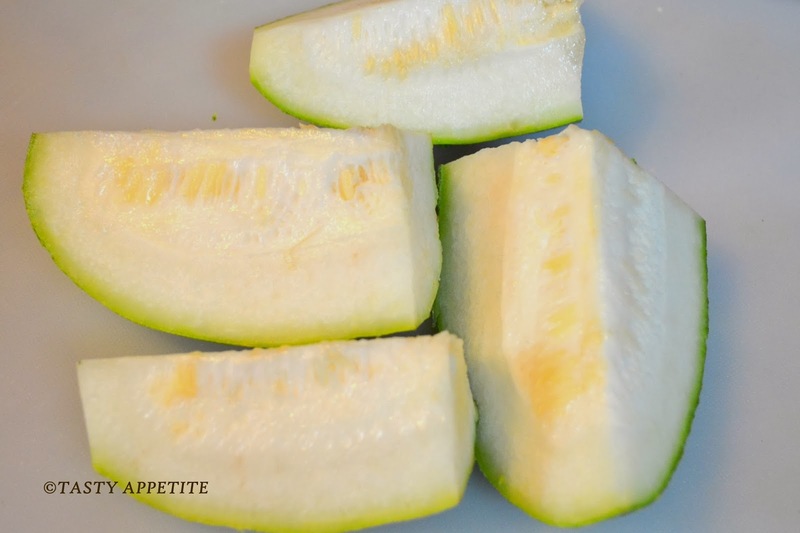 Peel off the skin of white pumpkin, remove the seeds and shred the inner fleshy part. 3. 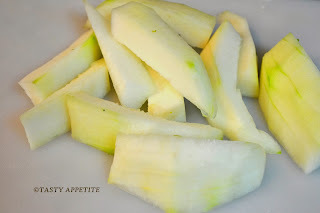 Soak cashew in warm water for 5 mins and slice it to thin pieces. 4. 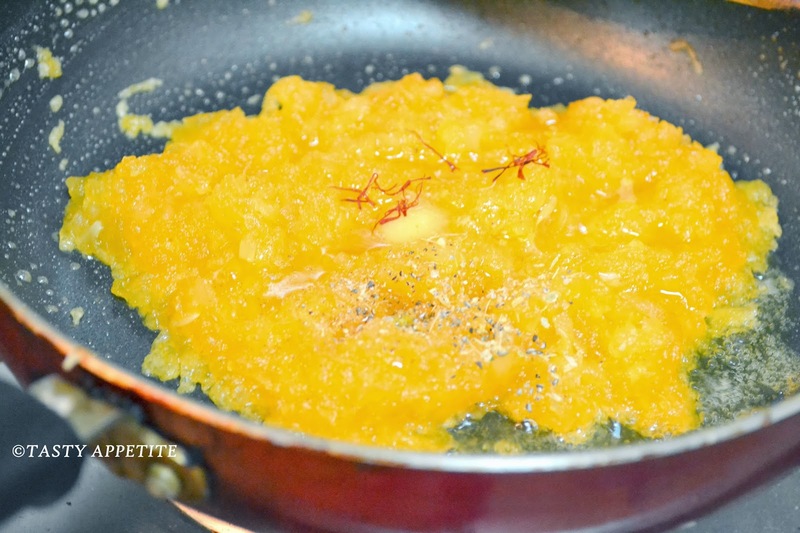 Heat a pan, add a tbsp of ghee. 5. 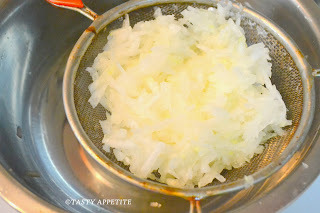 Add the shredded pumpkin, saute well. 6. Cook covered for five minutes or until the raw smell disappears. The pumpkin should be cooked soft. 7. Toss well in high flame. 8. Once it is cooked, the pumpkin will turn glossy and transparent. 9. At this stage, add sugar and mix well. 10. 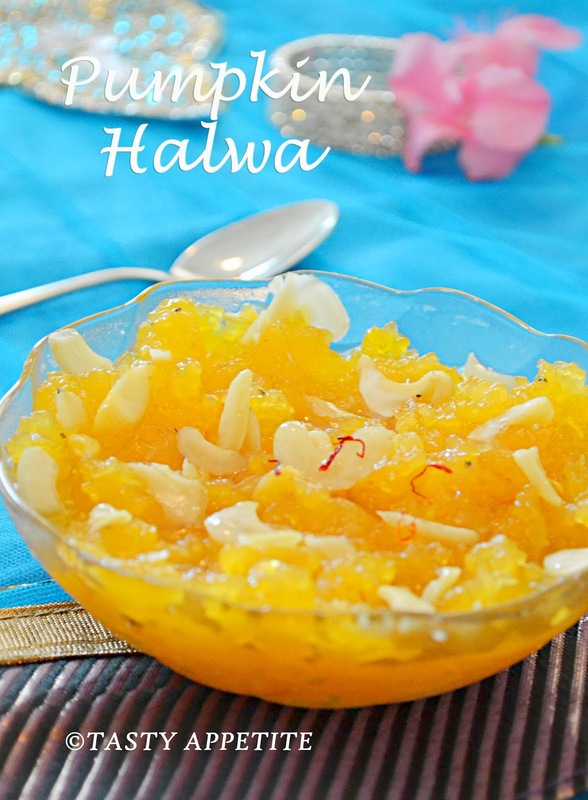 The halwa becomes a little watery but keep heating it stirring continuously. 11. Now you can see the sugar has come to sticky consistency. 12. Add khoya and combine. 13. 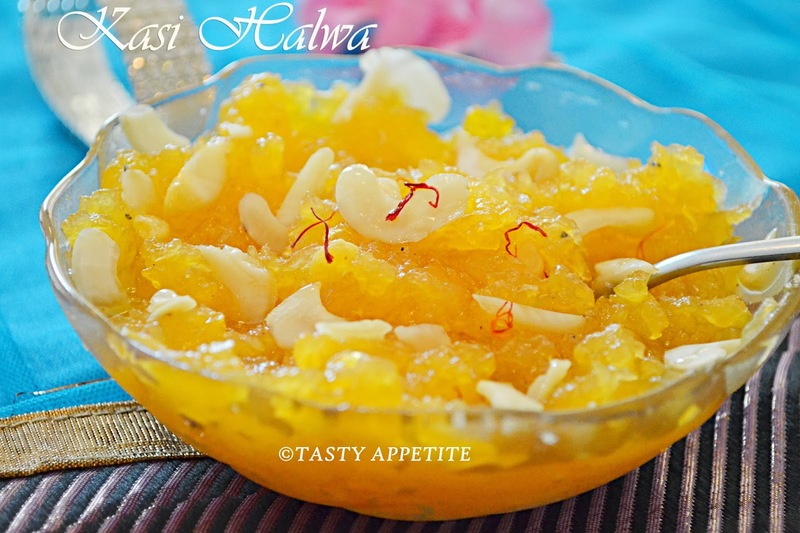 Mix a pinch of food color in 1 tsp of milk and add it to the halwa. 14. Now add 2 tbsp of ghee and stir continuously in low flame. 15. It will start forming a mass and leaves the sides of the pan. 16. 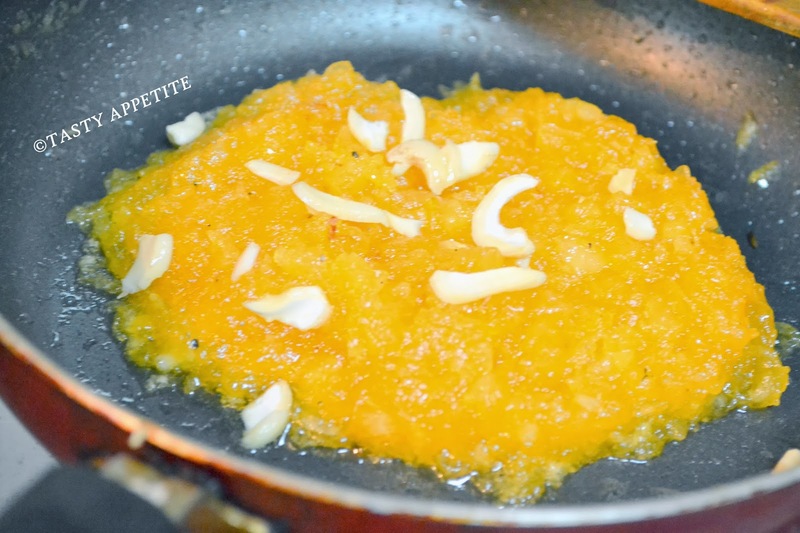 Once it reaches the sticky halwa consistency, turn off flame. Add cardamom pwd and saffron strands. 18. Garnish with cashew nut slices. 19. 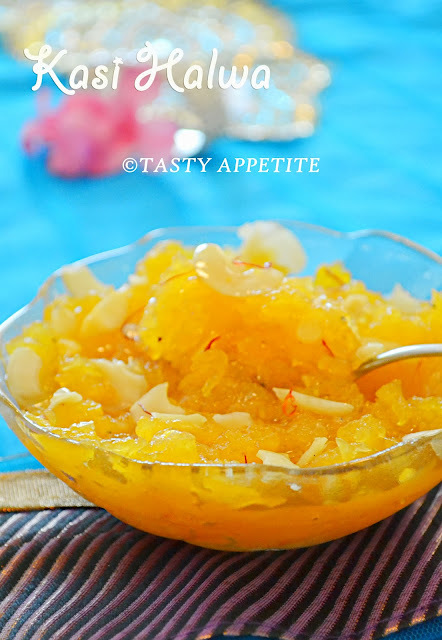 Transfer it to serving bowl and enjoy. 20. Serve hot or warm. Both tastes equally delicious. yummy liked the color much ! Kasi halwa looks yummilicious. Loved the colour. very festive and very delicious!!! 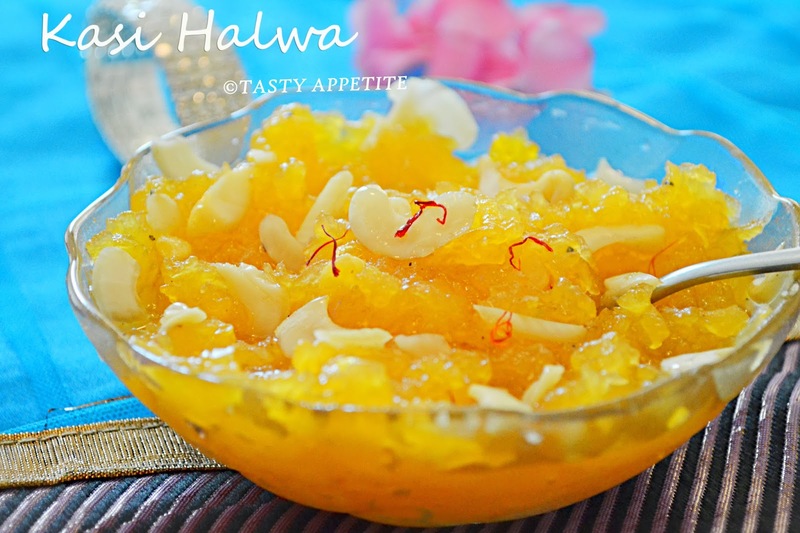 Delicious and colorful looking halwa. 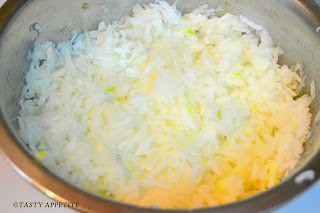 Love to prepare it soon. How beautiful it looks! 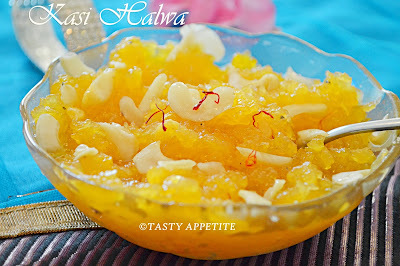 Super-refreshing color n texture... Must be delicious too :) Great for this festive season!!! awesome lip smacking halwa with lovely clicks. I had this at a wedding once. So delicious. We don't have white pumpkin here, so what can I use as a substitute?